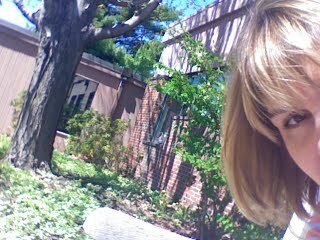 Look, internet, this is me doing work in the courtyard at Tufts. That's right. Outside. Just had to share my happiness at blue skies and blossoms. Hope there's some around you today, too. May 4, 2007 by Anne.